With her parents both gone, Ash finds herself a servant in the house of her ruthless stepmother and there seems no hope of finding happiness again. 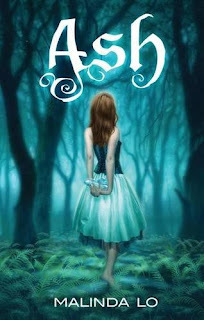 Everyone knows the story of Cinderella, it's a staple part of our childhood and with this debut novel, it is not simply a re-telling of a classic. It is so much more than that. Consumed with grief for her parents, Ash finds solace in the book of fairy tales her mother used to read to her, and dreams of one day falling in to the arms of a handsome faerie forevermore. So when she meets the dark and dangerous Sidhean, all her wishes seems to have come true. I truly loved this re-telling. The lore, The Wood, the fact that Prince Charming doesn't come to Ash's rescue. And thank the Gods, it was nice to have a little deviation from the (dare I say) 'Twilight-type' romances that have been cropping up in YA novels more and more these days. All in all, this is a beautifully written novel - one that I will definitely re-read in the years to come, as I would any other fairy-tale. "I swear not to say a word about what we do in this game to anyone outside..."
Hayley's parents disappeared when she was a baby. Since then, she has been raised and homeschooled by her grandparents. Grandad is overworked and travels a lot; Grandma is too strict, and never lets her meet any children her own age. When Hayley does something wrong - she is not quite sure what - her grandmother packs her off to her aunts in Ireland. 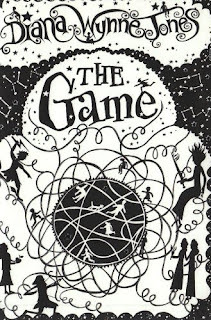 To Hayley's shock, her family is much bigger than she thought; to her delight, the children all play what they call 'the game', where they visit a place called 'the mythosphere.' And while she plays the game, Hayley learns more about her own place in the world than she could have expected. Anyone who has read Diana's works before - know that they're in for a treat. To those of you who haven't had the pleasure - this is a wonderful book to start with. So simple yet full of charm, innocence and fun. I don't think I'll ever get tired of Diana's ability to weave a story in your heart and have you feeling so full of joy and amazement throughout. 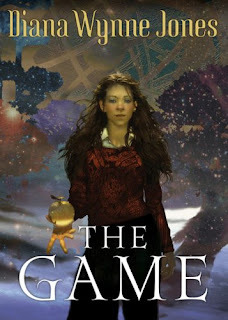 "...that's the game: fighting against the screaming need to run. But you don't. You breathe through it, and you put one foot in front of the other and you keep going. You don't even know why." Pg 34. Caz and Lucy thinks it's pretty cool to do the Creepy Thing. After all, it's just a game. No one gets hurt, right? But Caz plays one game too many and gets more than she bargains for. MUCH more. Caz believes she's been cursed. Her life is now chained to the hag who lives at 13 Briar Street and she's being stalked by a terrifying shadow-person. What does it want? And how can Caz get her life back? Maybe the answers are to be found in the seedy Black Dog pub, or the hair-raising church, or down at the tattoo parlour. One thing is for certain - Caz wont be doing the Creepy Thing again. Anyone who knows me has probably heard me mention Graham Joyce once or twice, and while I have not read all of his books so far, I can safely say that anything he writes is a wonder to behold. In this, one of Graham's few Young Adult titles, the story begins with two girls - Caz and Lucy - both of whom are restless in their small England town. To stave away the boredom they do the 'Creepy', essentially sneaking into other peoples homes in the middle of the night when all is silent and sleeping. Not to steal, just to take it in turns to stare at the sleeping residents face for fifteen seconds. The reason? Fifteen seconds can last a long time and the adrenaline that courses through Caz and Lucy during those times is as addictive as any drug. What's more, they know they should stop, but find it beyond their ability to do so. I love Graham Joyce's works. I love the way he writes, the way he pulls you in when you least expect it, and especially the goose-bumps gained as a result. Granted, I do not think his Young Adult novels are as gripping as his Adults ones are - this is still a thrilling and exciting ride. Do you dare take it? Hello folks, it is me - Alex - your effervescent book eater in residence. I figured it was that time to kick my rear-end into gear and remind myself of just what I need to do to get this blog continuing along on it's rickety path! So, I present you with one of my favourite activities (besides the obvious of course) - Lists! And if you have any books to recommend to me - I'd love to hear about them! Yelena has a choice - be executed for murder, or become food taster to the Commander of Ixia. She leaps at the chance for survival, but her relief may be short-lived. Life in the palace is full of hazards and secrets. Wily and smart, Yelena must learn to identify poisons before they kill her, recognise whom she can trust and how to spy on those she can't. And who is the mysterious Southern sorceress who can reach into her head? What happens when one friend raves about a book, but another dismisses it out of hand? Well, the only thing a bibliophile can do - find out for ones self! From the very first page you are thrust into a world coming to grips with a new leader and with it, a new way of living. All magic and sorcery has been exiled by the commander and with it a higher risk of assassination. In comes Yelena - in chains for the murder of General Brazell's son and the next in line for the noose. Until she is brought to Valek (the Commanders personal security chief) and given a choice. But is anything that easy? To ensure her loyalty Valek poisons Yelena with Butterfly's Dust, with which she must go to him to take the antidote every morning, ensuring her survival. No antidote and she dies a rather unpleasant death. And that's just the first chapter! I am very pleased to note that this book contains a very strong and worthy heroine. Intelligent and endearing heroines are increasingly rare in a genre filled with silly girls who follow their immortal hunks to greener pastures. Yelena is no follower. She is resourceful, witty and quick to act. 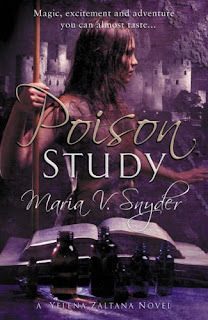 Throughout Poison Study she is plagued by her tragic and haunting past and the consequences of her murder - all of which is gradually revealed as you read on. So, for a series that has magic, murder, mystery, corruption, secrecy and love interwoven throughout - how could I not love it?